A team of researchers from UNMC and Vanderbilt University have discovered that co-occurring maternal infection and gestational diabetes may create a more pronounced response associated with pathways implicated in psychiatric disorders such as schizophrenia and autism. The results of the study, "Gestational Diabetes Exacerbates Maternal Immune Activation Effects in the Developing Brain," was published in Tuesday's issue of Molecular Psychiatry, a Nature Publishing Group publication considered one of the leading journals in the fields of psychiatry, neuroscience and molecular biology. Previous studies have suggested that infections and the resulting stimulation of the immune system during pregnancy leads to a long-term disruption of the developing nervous system of the offspring and has long-term consequences on behavior. Yet, there has been few investigations how the various environmental factors interact during pregnancy, and how might they affect the health of the unborn child. 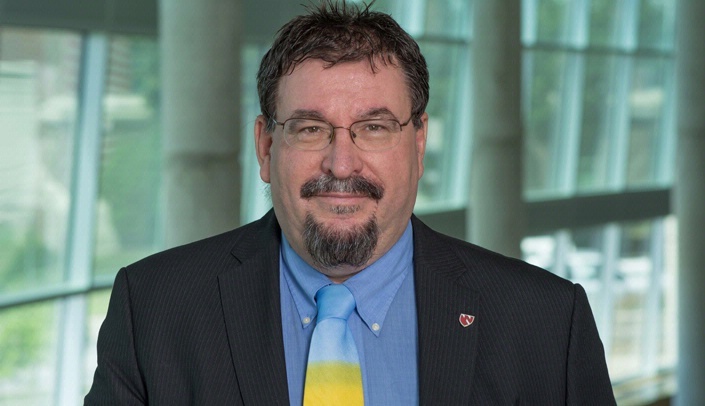 Karoly Mirnics, M.D., Ph.D., Hattie B. Munroe Professor of Psychiatry, Molecular Biology & Biochemistry and director of the Munroe-Meyer Institute of Genetics and Rehabilitation at UNMC, is the senior and corresponding author on the publication. He said the study drew on the knowledge that gestational diabetes and infections during pregnancy are commonly co-occurring environmental challenges to the health of the mother and the unborn baby. "When you get infected, the levels of cytokines in your blood rise and it triggers a molecular cascade that can alter the development of the brain of the unborn child. This is a very complex mechanism involving the maternal immune system, the placenta, and the developing brain and developing body of the future child," he said. "As both gestational diabetes and infections lead to inflammation, we hypothesized that their combined effect would become even more disruptive to the developing brain. We mimicked these processes in a mouse model." 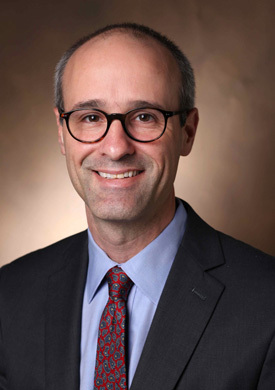 Many infections during pregnancy can cause problems in fetal brain development, which can result in long-term neurocognitive disabilities in children, said David Aronoff, M.D., co-principal investigator, Addison B. Scoville Jr. Chair in Medicine and director of the Division of Infectious Diseases at the Vanderbilt University Medical Center in Nashville, Tenn.
"Zika is a prime example of a virus that can directly damage the developing fetal brain," he said. "Other infections can cause harm to fetal brain development not by directly infecting the brain cells but by inducing a strong inflammatory response that itself hurts brain growth within the womb." A significant increase in the global burden of diabetes during pregnancy also is associated with complications in offspring, including neurocognitive disabilities such as autism, he added. "The two investigated environmental challenges result in different types of inflammatory states, one infectious and one metabolic," Dr. Mirnics said. "And these two, when they occur simultaneously, do not act as simply as 'A+B=AB.' In our mouse model, the co-occurrence gives rise to a new, different, more pronounced, more severe set of problems." "The result of the study suggests that excessive inflammation during pregnancy, as might result from a viral infection of the mother, can dysregulate gene expression in the developing fetal brain and the extent of these effects is modified by the presence of diabetes in the mother," Dr. Aronoff said. "What is more, metabolic stressors such as diabetes can, in and of itself, induce changes to fetal brain gene expression." The mouse model study was a collaborative effort, drawing from the diabetes expertise of Maureen Gannon, Ph.D., professor at Vanderbilt, Dr. Aronoff's knowledge of placental physiology and infection, Dr. Mirnics' expertise in developmental neurobiology, and other experts. Follow-up to the findings is crucial, Drs. Mirnics and Aronoff said. "When these mice grow up, how is their behavior? Does it resemble something like autism, schizophrenia, any of the psychiatric disorders? Can the potential behavioral disturbances be reversed by medication, or can the maternal immune activation in the mother be prevented before it affects the developing brain of the child? " Dr. Mirnics asked. "Future studies need to focus on how our findings in the fetal brain correspond to behavioral or neurocognitive outcomes in offspring," Dr. Aronoff agreed. "Ultimately, we hope our work improves neurocognitive ability in children by ensuring that all cards are stacked in their favor during early development."